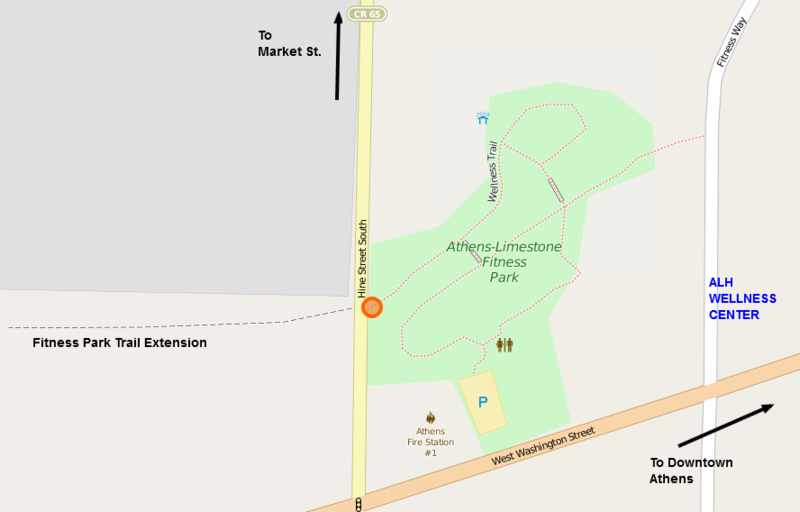 Fitness Park Trail is located in west Athens near the Medical District set amid towering trees. The trail winds the park past fitness stations, playground, fountain, pavilion and rolling hills. The extension lies beyond Hine Street in a serene wooded setting. The park offers a convenient break from the Athens-Limestone Hospital, an addition to your training at the Wellness Center or just a great day for a family outing.